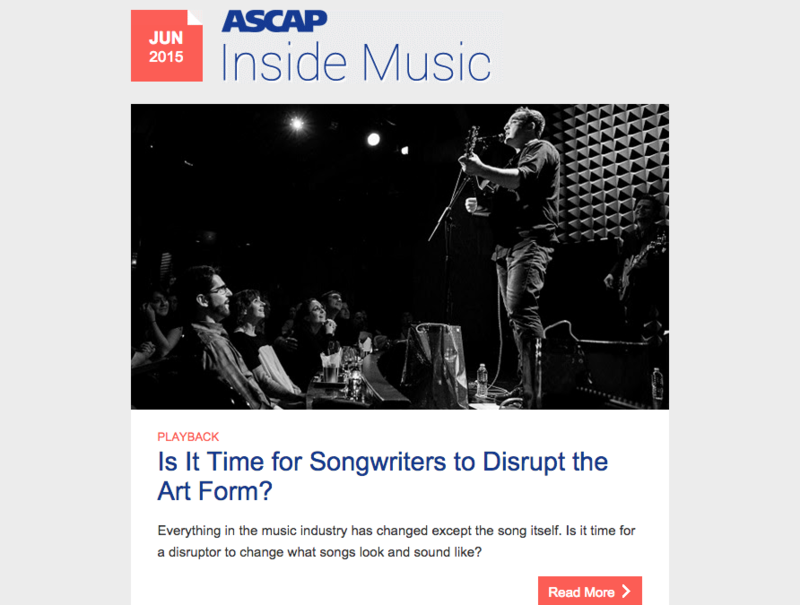 Honored to have ASCAP pick up my piece on tech’s effect on songwriting. Are you, in fact, screwing yourself six times over for writing a three-minute song (:30 x 6 = 3:00 song)? A “song disruptor” would just cut everything back to :32 or so, and see huge positive results in his/her own streaming royalty statements. Labels would love it for the same reason (more money). Thinking ahead: If a critical mass were to adopt song forms of these lengths, would Spotify payouts to creators suddenly rise sixfold? That would probably crush the business model, wouldn’t it? I mean, it can’t make a profit as is, and songs are clocking in at around three minutes. Are streaming services just skating by on all that non-monetized listening time? Spotify also pays higher rates at around five minutes — because of course it does. It makes the company money to not have to pay out for four entire minutes of a song. Taking this into account, what is this thing – songwriting – going to look and sound like in the not-too-distant future? Read more on ASCAP’s web site.